Look! Up in the sky! Is it a bird? Is it a plane? No, it’s a licensed slot conversion of the greatest superhero flick ever made, Superman The Movie. 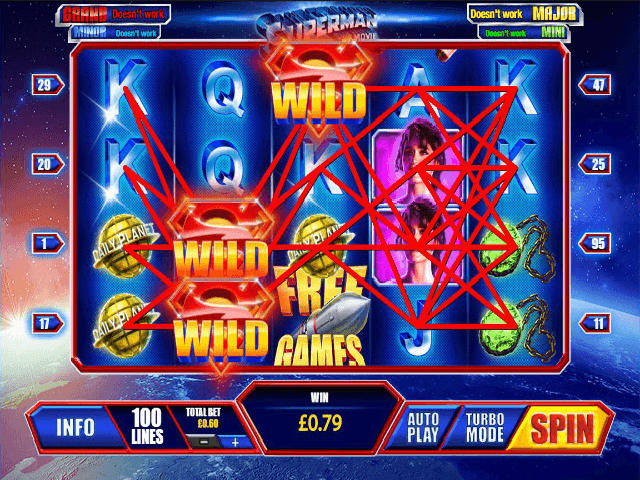 Play Superman The Movie Slot Demo for Free! 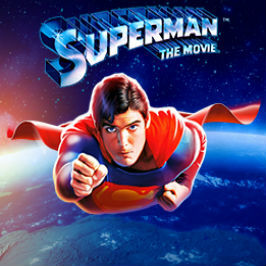 Play Superman The Movie for Real Money! Wagers start at a very accessible 60p per spin, although you can invest as much as £80 per spin if you’re a high-flyer (thank you). 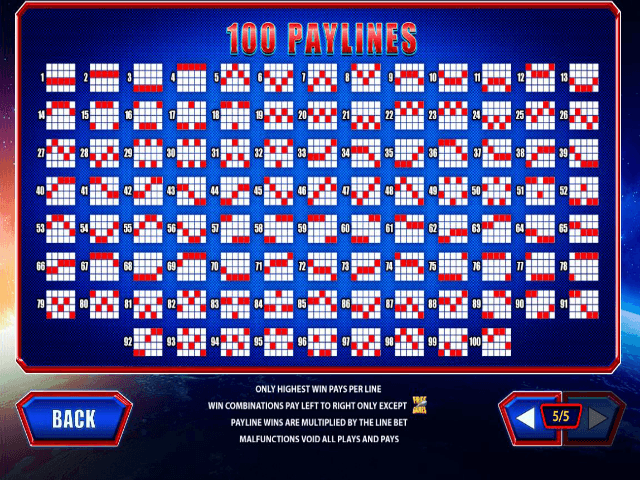 The base game jackpot is a less-than-heroic 500x your stake, although because this title is one of Playtech’s DC Universe Progressive series, there’s a super-huge progressive jackpot prize (four, in fact) on hand that’d definitely make you rip your shirt open if you landed it. The Crystal Bonus - Land three Bonus symbols on the middle three reels and the screen switches to a ‘Pick Me’-type game where you’re given the opportunity to choose from fourteen crystals on display. Each crystal yields a cash prize, 2x multiplier, 5x multiplier or a bonus restart symbol. This last reward is particularly handy as it allows you to start the feature again and retain all previously won prizes. The feature ends when you pick the green crystal. Look out for the Superman logo though – this reveals the whereabouts of the green crystal, enabling you to let the feature continue. Save The Day Free Spins - If the Free Games symbols pop up on the first, third and fifth reels then you’ll get ten free spins. This feature uses the big Hoover Dam disaster set-piece from the movie as its backdrop and so, once your initial ten spins are finished, you get to see Superman rewind time as he does in the film. As well as being a really nice touch, this innovation allows you to keep your frozen wilds in place and affords you an extra ten free spins. Super. The multi-level progressive DC Superheroes Jackpot mentioned earlier can be triggered randomly on any of the spins in the base game, regardless of how much you’re betting. That being said, betting higher stakes will definitely increase the chances of it happening. Once you’re in, you’re guaranteed to win one of four available jackpots: Mini, Minor, Major and Grand. Land the Grand and it’s time to start ripping. 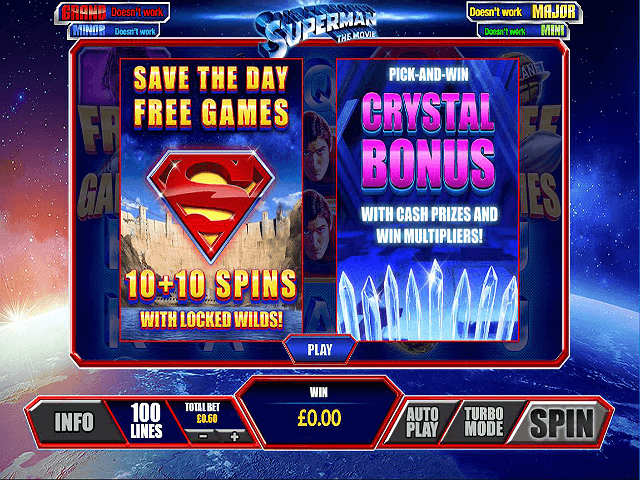 Playtech have done a heroic job with this Superman The Movie slot machine - so heroic it even has a sequel! It evokes nostalgia, boasts immersive bonus rounds and provides an action-packed playing experience. Throw in the prospect of winning one of the four DC Superhero Jackpots and it’s clear this slot is, like the movie itself, a truly great production. Share this Superman The Movie Review today! 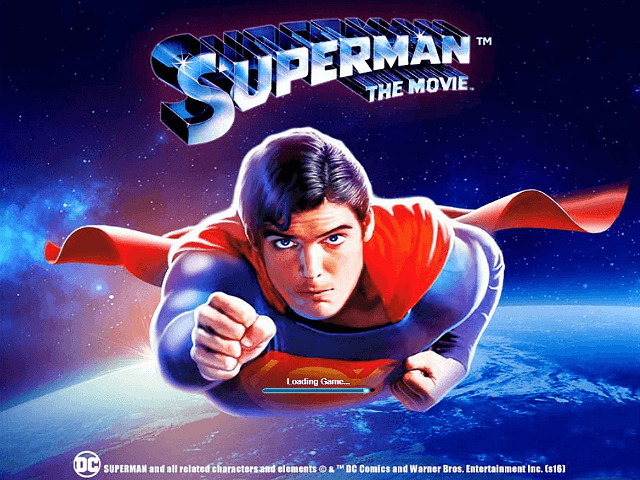 If you like Superman The Movie, you'll love these slot titles too!